Accurate information can be the greatest tool in the fight against diseases, infectious or vector-borne. 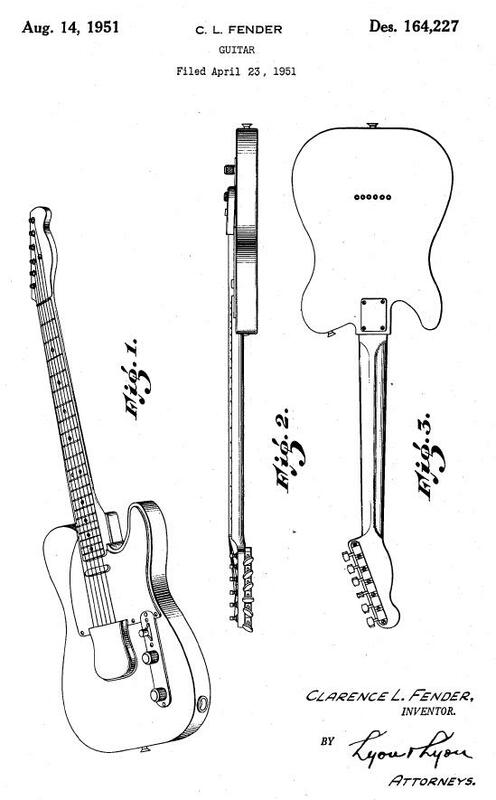 NAIAD slide. Brazil endures an outbreak of Yellow Fever in early 2017. Mosquitoes transmit Yellow Fever from one mammal host to another. Famously, Yellow Fever had to be controlled to allow construction of the Panama Canal between 1910 and 1915. Yellow Fever is usually carried by mosquitoes in the species Aedes aegypti, a nasty little bug that carries several diseases to humans including Zika virus and West Nile virus. Astute observers know that A. aegypti are almost ubiquitous in warmer human cities, so the transmission of the disease requires only that a host (usually human) shows up infected with the pathogen, and an epidemic might occur. Those observers also know that all mosquitoes are resistant or immune to DDT and frequently to other pesticides as well, their having been bombarded with pesticides for 60 or more years, and consequently having evolved resistance alleles. So spraying with DDT won’t work. That’ won’t stop those who relish slandering Carson or who wish to impugn the humanity and good motives of environmentalists. Come Dr. Anthony Fauci and Dr. Cahtharine Paules of the U.S.’s National Institute of Allergy and Infectious Diseases (NAIAD), part of the National Institutes of Health (NIH) to offer information to calm the hyperventilated, and to inform the serious and concerned citizen with an article in the New England Journal of Medicine, explaining Brazil’s problem, Yellow Fever, and what U.S. residents need to do, and this press release from NAIAD to get the key points across quickly. The unusually large outbreak of yellow fever now occurring in rural Brazil deserves careful attention by world health authorities, notes Anthony S. Fauci, M.D., director of the National Institute of Allergy and Infectious Diseases (NIAID), one of the National Institutes of Health. Writing in a Perspectives piece for the New England Journal of Medicine, Dr. Fauci and his associate Catharine I. Paules, M.D., note that this latest outbreak of a serious mosquito-borne virus comes as Zika virus, which is spread by the same mosquito as yellow fever virus, continues to affect countries throughout the Americas. A vaccine has been available since 1937 and confers lifelong immunity in up to 99 percent of those who receive it. Extensive immunization campaigns, along with effective mosquito control—especially in developed countries—have reduced yellow fever cases worldwide. Nevertheless, localized outbreaks in parts of Africa and Central and South America account for an estimated 84,000 to 170,000 severe cases of disease and between 29,000 and 60,000 deaths annually. The Brazilian outbreak is a manifestation of the “sylvatic,” or jungle, transmission cycle in which forest-dwelling mosquitoes spread the virus primarily to non-human primates, with humans serving only as incidental hosts. At this time, there is no evidence that the outbreak is transforming into its “urban” cycle, but authorities should remain alert for this possibility, the authors note. In the urban cycle, yellow fever virus is usually spread by city-dwelling Aedes aegypti mosquitoes directly to people. An urban cycle of yellow fever in Angola and the Democratic Republic of Congo that began in late 2015 caused 961 confirmed cases and 137 deaths. During that outbreak, write Drs. Fauci and Paules, the world’s emergency vaccine stockpile reserve was exhausted, limiting the number of available vaccine doses and making the outbreak more difficult to control. To prevent a similar occurrence during a future yellow fever outbreak in Brazil or elsewhere, “early identification of cases and rapid implementation of public health management and prevention strategies, such as mosquito control and appropriate vaccination, are critical,” they write. In an era of frequent international travel, an increase in domestic cases in Brazil has the potential to spread yellow fever to non-endemic areas and could pose serious disease-control challenges, Drs. Fauci and Paules observe. They urge clinicians, especially those in the United States and other places where yellow fever is uncommon, to inform themselves about yellow fever symptoms and to adopt a high index of suspicion for this diagnosis, particularly when examining travelers returning from affected regions. CI Paules and AS Fauci. 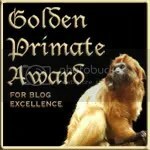 Yellow fever: Once again on the radar screen in the Americas. New England Journal of Medicine DOI: 10.1056/NEJMp1702172 (2017). Dr. Fauci is available to discuss this article. To schedule interviews, please contact Anne A. Oplinger, (301) 402-1663, aoplinger@niaid.nih.gov. Map of Brazil showing confirmed cases of Yellow Fever “in the current outbreak,” as of March 2017. Information from Brazil’s Ministry of Health. NEJM image. World Malaria Report 2016, published December 13, offers great hope in progress made against malaria in the past 16 years. But it also notes a severe challenge: Funding to beat malaria works well, but funding pledges sometimes are not met, and progress against the disease slowed some in 2016. In 2000, nearly a million people died from malaria worldwide. In 2015, the death toll had been cut to ~470,000, a 50% reduction in 15 years. In 2016, ~429,000 people died from malaria. It’s 40,000 fewer people than the year before. Malaria fighters had hoped for more. Most deaths occur in Africa, most deaths occur to children, and most deaths occur in areas where distribution of insecticide-impregnated bednets has not been complete. Distribution was slowed in 2016 by lack of funds at steps in the process, from manufacturing the nets (now done significantly in Africa) to distributing the nets, to educating people how to use them. Nets are more effective than pesticide spraying, with DDT or the other 11 approved pesticides, and considerably less expensive. A child shows off the mosquito bednet that keeps him malaria-free. Image from Nothing But Nets. WHO’s press release on the Report laid out the problem, with hints at a solution. Sustained and sufficient funding for malaria control is a serious challenge. Despite a steep increase in global investment for malaria between 2000 and 2010, funding has since flat-lined. In 2015, malaria funding totalled US$ 2.9 billion, representing only 45% of the funding milestone for 2020 (US$ 6.4 billion). Governments of malaria-endemic countries provided about 31% of total malaria funding in 2015. The United States of America is the largest international malaria funder, accounting for about 35% of total funding in 2015, followed by the United Kingdom of Great Britain and Northern Ireland (16%). U.S. funding was just over $1 billion. That may sound like a lot, but it’s not even a drop in the U.S. federal budget bucket. With a doubling of the U.S. contribution to $2 billion, the U.S. could again lead the world in fighting malaria, and set a good example of American democracy in action. In doing that, another 100,000 lives might be saved each year. Then, U.S. would have high moral ground to urge other nations to contribute to fighting malaria, either directly through WHO or through non-governmental organizations whose work goes too-often unsung, such as Malaria No More, Nothing But ‘Nets, and the Clinton Foundation. $10 buys a net and distribution, and a net protects a child from malaria better than spraying dangerous insecticides, for two to five years. What are the odds the Trump administration could be recruited to beat malaria? Let’s increase those odds. Promotional poster for the World Malaria Report 2016, from WHO; poster shows a woman and her child, protected from mosquitoes behind a bednet. Incidence of malaria dropped to a new, all-time low in 2016, with reductions in total infections to 212 million, and a drop in malaria deaths to 429,000, worldwide. Malaria fighters had hoped the decreases would be greater. Cover of World Malaria Report 2016, from the World Health Organization (WHO). The report has been published annually since at least 2008, tracking progress in the fight to control and eradicate malaria, one of the greatest scourge diseases in human history. This news comes from the World Health Organization’s (WHO) World Malaria Report 2016, released this morning in Geneva, Switzerland. Of concern to readers here, the report lists ten nations still using DDT, the same number as 2015. Nine African nations and India still find some utility in DDT, though resistance to the long-used pesticide is found in almost all populations of almost all varieties of mosquito. India remains the world’s heaviest user of DDT and the only place DDT is manufactured. The nine DDT-using African nations are Botswana, Democratic Republic of Congo, Gambia, Mozambique, Namibia, South Africa, Swaziland, Zambia, and Zimbabwe. Due to mosquito and other vector insect resistance to DDT, India will stop using DDT by 2020, and stop manufacturing at the same time. Insecticide-impregnated bednets now are the chief tool used to prevent spread of new malaria infections. Nets have proven more effective than Indoor Residual Spraying (IRS), which has always been the chief use of DDT in the malaria fight. The report notes that mosquito resistance grows alarmingly to the preferred net pesticides, pyrethroids. Nets provide a physical barrier to mosquitoes, however, and work even when the insecticides wear off. This years report is shorter than previous years, but still loaded with statistics and policy issues to be unpacked in the next few days. 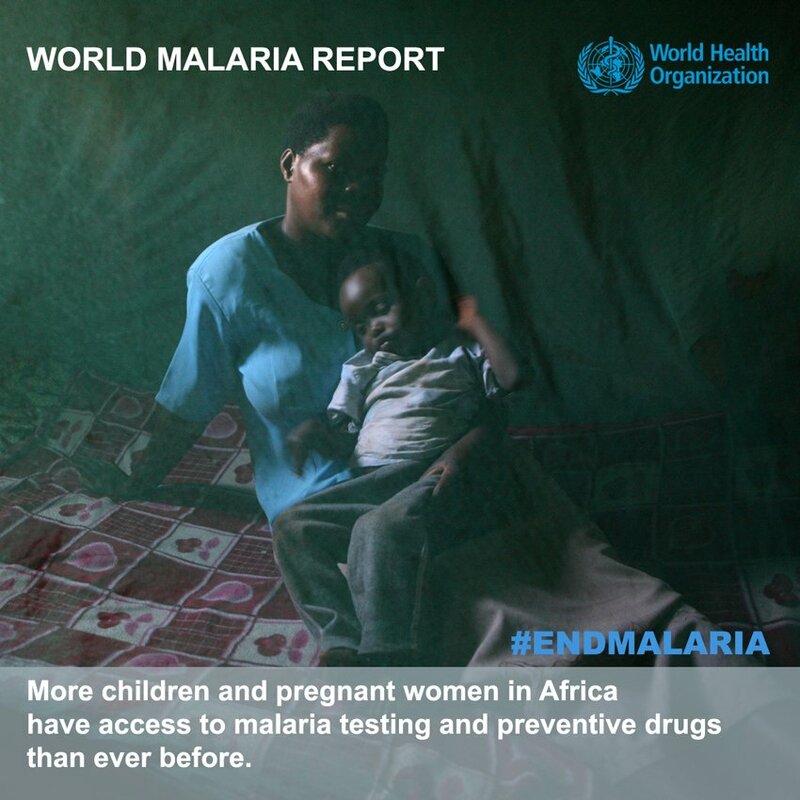 13 December 2016 | GENEVA – WHO’s World Malaria Report 2016 reveals that children and pregnant women in sub-Saharan Africa have greater access to effective malaria control. Across the region, a steep increase in diagnostic testing for children and preventive treatment for pregnant women has been reported over the last 5 years. Among all populations at risk of malaria, the use of insecticide-treated nets has expanded rapidly. But in many countries in the region, substantial gaps in programme coverage remain. Funding shortfalls and fragile health systems are undermining overall progress, jeopardizing the attainment of global targets. Sub-Saharan Africa carries a disproportionately high share of the global malaria burden. In 2015, the region was home to 90% of malaria cases and 92% of malaria deaths. Children under five years of age are particularly vulnerable, accounting for an estimated 70% of all malaria deaths. Diagnostic testing enables health providers to rapidly detect malaria and prescribe life-saving treatment. New findings presented in the report show that, in 2015, approximately half (51%) of children with a fever seeking care at a public health facility in 22 African countries received a diagnostic test for malaria, compared to 29% in 2010. To protect women in areas of moderate and high malaria transmission in Africa, WHO recommends “intermittent preventive treatment in pregnancy” (IPTp) with sulfadoxine-pyrimethamine. The treatment, administered at each scheduled antenatal care visit after the first trimester, can prevent maternal and infant mortality, anaemia, and the other adverse effects of malaria in pregnancy. According to available data, there was a five-fold increase in the percentage of women receiving the recommended 3 or more doses of this preventive treatment in 20 African countries. Coverage reached 31% in 2015, up from 6% in 2010. Insecticide-treated nets are the cornerstone of malaria prevention efforts in Africa. The report found that more than half (53%) of the population at risk in sub-Saharan Africa slept under a treated net in 2015, compared to 30% in 2010. Last month, WHO released the findings of a major 5-year evaluation in 5 countries. The study showed that people who slept under long-lasting insecticidal nets (LLINs) had significantly lower rates of malaria infection than those who did not use a net, even though mosquitoes showed resistance to pyrethroids (the only insecticide class used in LLINs) in all of these areas. Malaria remains an acute public health problem, particularly in sub-Saharan Africa. According to the report, there were 212 million new cases of malaria and 429 000 deaths worldwide in 2015. There are still substantial gaps in the coverage of core malaria control tools. In 2015, an estimated 43% of the population in sub-Saharan Africa was not protected by treated nets or indoor spraying with insecticides, the primary methods of malaria vector control. In many countries, health systems are under-resourced and poorly accessible to those most at risk of malaria. In 2015, a large proportion (36%) of children with a fever were not taken to a health facility for care in 23 African countries. At the 2015 World Health Assembly, Member States adopted the Global Technical Strategy for Malaria 2016-2030. The Strategy set ambitious targets for 2030 with milestones every 5 years to track progress. Eliminating malaria in at least 10 countries is a milestone for 2020. The report shows that prospects for reaching this target are bright: In 2015, 10 countries and territories reported fewer than 150 indigenous cases of malaria, and a further 9 countries reported between 150 and 1000 cases. Countries that have achieved at least 3 consecutive years of zero indigenous cases of malaria are eligible to apply for the WHO certification of malaria elimination. In recent months, the WHO Director-General certified that Kyrgyzstan and Sri Lanka had eliminated malaria. But progress towards other key targets must be accelerated. The Strategy calls for a 40% reduction in malaria case incidence by the year 2020, compared to a 2015 baseline. According to the report, less than half (40) of the 91 countries and territories with malaria are on track to achieve this milestone. Progress has been particularly slow in countries with a high malaria burden. If global targets are to be met, funding from both domestic and international sources must increase substantially. Last month, WHO announced that the world’s first malaria vaccine would be rolled out through pilot projects in 3 countries in sub-Saharan Africa. Vaccinations will begin 2018. The vaccine, known as RTS,S, acts against P. falciparum, the most deadly malaria parasite globally, and the most prevalent in Africa. Advanced clinical trials have shown RTS,S to provide partial protection against malaria in young children. On 16 November 2016, WHO released the findings of a 5-year evaluation conducted in 340 locations across 5 countries: Benin, Cameroon, India, Kenya and Sudan. The findings of this study reaffirm the WHO recommendation of universal LLIN coverage for all populations at risk of malaria. Will major media cover this news? Will your local newspapers and broadcast outlets even make note? India News Today photo shows insecticide fogging in crowded Delhi neighborhoods to combat Chikungunya virus by striking down mosquitoes that transmit the disease from one human to another. In the western world, libertarians, so-called conservatives and anti-science people call for a “return” of DDT to fight Zika virus spread. But in the world’s DDT capital, India, where DDT is still made and more DDT is applied than in the rest of the world combined, DDT’s failures stand out. News reports say health care in key Indian cities is hamstrung by doctors and nurses getting mosquito-borne diseases. Why don’t they just use “the magic powder,” DDT, to wipe out mosquitoes? Oh, Dear Reader, India has used DDT extensively, for everything, for 60 years. Mosquitoes that carry disease, and all other mosquitoes, and many other insect pests, developed resistance and immunity to DDT from that use. Apart from the fact that DDT would be the WRONG pesticide to use for anything other than malaria-carrying mosquitoes from the genus Anopheles, it simply does not work. If DDT advocates paid attention to news and history, they’d not call for more DDT anywhere for any reason. Apart from doctors, even nurses, other members of the medical staff and sanitation workers are going on leave at a time when the number of people afflicted by dengue and chikungunya this year in the city and its suburbs has crossed two thousand. As outcry over an onslaught of viral diseases in the Capital reaches fever pitch and hospitals struggle in the face of an unrelenting tide of patients, the men in white too have started calling in sick. Malaria is carried almost always by Anopheles, but chikungunya is carried by two species of Aedes, Aedes aegypti and Aedes albopictus. These mosquitoes also carry dengue fever and Yellow fever. A. aegypti is the principal carrier of the Zika virus, worldwide. Health workers being felled by dengue and chikungunya tells us the area would also be fertile territory for the spread of Zika virus, if it were introduced there. Careful watchers, therefore, will understand that DDT has worn out its usefulness against a wide variety of mosquito-borne diseases including Zika. Experts say heavier than usual rainfall, a large number of construction projects and scores of open drains in Delhi are allowing mosquitoes to breed in stagnant water. Far too many commenters fail to understand that DDT was never the chief tool in fighting malaria, or any other disease. Instead, DDT was used to knock down local populations of mosquitoes, temporarily, so health care and better housing and other measures could cure humans of the diseases and remove mosquito breeding areas from areas around human homes and human activities. India’s failure to provide good sewage drainage, good storm sewage drainage, and otherwise plug up potholes and even tiny water catching places allows mosquitoes almost free rein. India relied too long on poisoning everything with DDT, instead of building a mosquito-resistant urban area. At Lok Nayak Hospital in central Delhi, 18 doctors are on leave. “Either the doctors are down with fever or somebody in their family is ill. The doctors are taking leave for at least 4-5 days. We have had cases where physicians were ill but returned to work early seeing the number of patients,” said a senior doctor. The Delhi government has asked hospitals to ensure that dengue and chikungunya patients are treated without distress. Officials say the health department has already dedicated an additional 1,000 beds for those suffering from fever at the Rajiv Gandhi Super Speciality Hospital, Janakpuri Super Speciality Hospital and Deep Chand Bandhu Hospital. These institutes have been designated nodal hospitals for fever in the city. All hospitals- government and private – in the National Capital Territory have been directed to increase their surge capacity. “While doctors are trying their best to remain on duty till the effect of vector-borne diseases recedes the city, the shortage in staff and the new directions from the government would add to the existing burden,” said a doctor on condition of anonymity. The Delhi government says it is fully prepared to battle with the onslaught of diseases and has denied in the city high court claims that the Capital is facing its worst dengue crisis. In an affidavit filed in the court, it said strict surveillance of preparedness and impact of these diseases has been carried out for taking further preventive measures as, due to environmental conditions, the number of diseases such as dengue, chikungunya and malaria shows an upswing during July to October. India continues to learn that DDT is not magic, not often useful, and sometimes detrimental to disease control efforts. Will the rest of the world watch and learn? No, DDT will not and cannot help in the fight against Zika virus’s spread to humans. Waste no more time wondering, but get on with the hard work of draining mosquito breeding places, improving houses with window screens and other improvements, and developing vaccines and other medicines. Now. Not a word about condemning Rachel Carson. No plea to use DDT to try to poison Africa or Asia to health. That’s a great start. 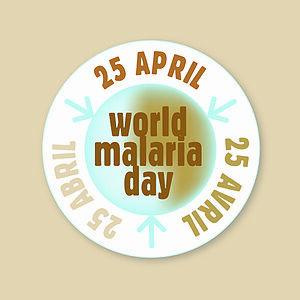 April 25 is World Malaria Day — right, Bill? Sorry I couldn't make it @StephenAtHome. I've been busy with @Clintonfdn work on global heath. Thrs is #WorldMalariaDay you know #Raincheck? 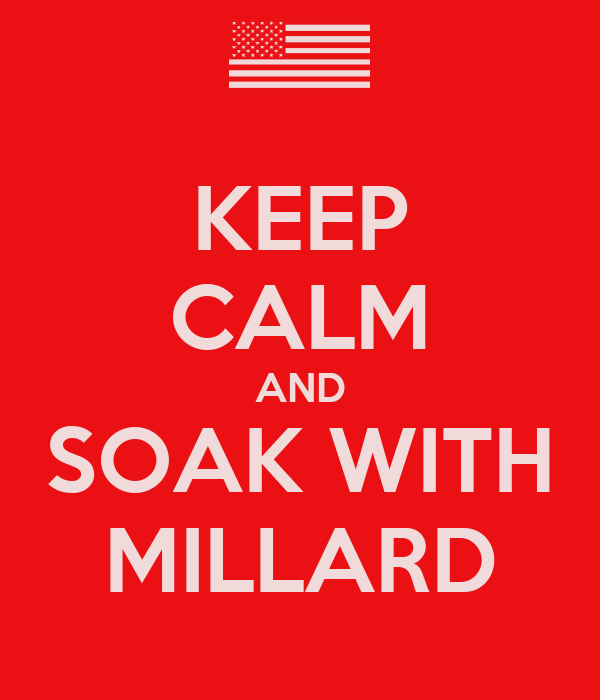 What are you doing to fight malaria today? 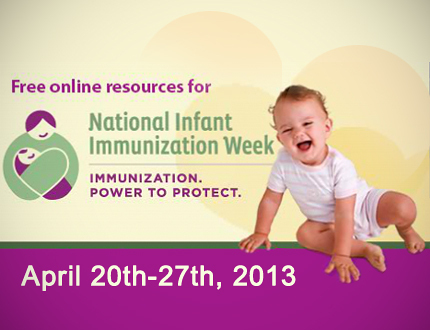 This week is National Infant Immunization Week designated by the U.S. Centers for Disease Control (CDC). Vaccinations worked miracles in extending human lifespans, and in making childhood much safer from disease, for those children who get vaccinated. Immunization is one of the best ways parents can protect their infants from 14 serious childhood diseases before age two. 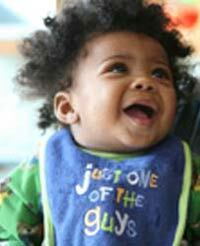 Check to see if your baby is up to date on immunizations. It is important for children to be fully immunized. Diseases that can be prevented with vaccines can be very serious – even deadly – especially for infants and young children. For example, children younger than 2 years old are at the highest risk for serious pneumococcal disease like pneumonia, blood infection (sepsis), and meningitis. Before the pneumococcal vaccine was used routinely, an estimated 17,000 cases of severe types of pneumococcal infection, like meningitis, occurred each year. Immunizations have helped to greatly improve the health of children in the United States. Most parents today have never seen first-hand the devastating consequences that vaccine-preventable diseases have on a family or community. While most of these diseases are not common in the United States, they persist around the world. It is important that we continue to protect our children with vaccines because outbreaks of vaccine-preventable diseases can and do occasionally occur in this country. For example, in 2010, there were 27,550 people reported to have “whooping cough” (pertussis) in the United States. Twenty-seven deaths were reported – 25 of these were in children younger than 1 year old. In 2011, 222 people were reported to have measles in the United States – that’s more than any year since 1996. Measles is brought into the United States by unvaccinated U.S. residents and foreign visitors who get infected when they are in other countries. Measles is still common in many parts of the world, including Europe, Asia, the Pacific, and Africa. In fact, in France alone, more than 15,000 people were reported to have measles in 2011. Measles spreads easily, and it can be serious, causing hospitalization and even death. Young children are at highest risk for serious complications from measles. Vaccinating your baby according to the recommended immunization schedule gives him or her the best protection against 14 serious childhood illnesses – like measles and whooping cough – before he is two years old. The recommended schedule is designed to protect infants and children early in life, when they are most vulnerable and before they are exposed to potentially life-threatening diseases. 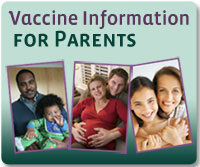 Visit CDC’s vaccine website for parents. Even though the United States experiences outbreaks of some vaccine-preventable diseases, the spread of disease usually slows or stops because of immunization. If we stopped vaccinating, even the few cases we have in this country could very quickly become tens or hundreds of thousands of cases. Fortunately, most parents choose to vaccinate their children and immunization rates in this country are at or near record high levels. In fact, less than 1% of children do not receive any vaccines. However, some children have not received all of their vaccines and therefore are not fully immunized. It’s important that children receive all doses of the vaccines according to the recommended immunization schedule. Not receiving all doses of a vaccine leaves a child vulnerable to catching serious diseases. That’s why it’s important to make sure that your child is up to date on his or her immunizations. Call your pediatrician to find out if your child is due for any vaccinations. Or, you can use this online tool to enter your child’s current record and quickly see if any doses have been skipped or missed. It is important to your child’s health to be up to date on immunizations. Most health insurance plans cover the cost of vaccinations, but you should check with your insurance provider before going to the doctor. If you don’t have health insurance, or if your insurance does not cover vaccinations, the Vaccines for Children (VFC) program may be able to help with the cost. Underinsured and vaccinated in Federally Qualified Health Centers or Rural Health Clinics. Parents of uninsured or underinsured children who receive vaccines at no cost through the VFC Program should check with their health care providers about possible administration fees that might apply. These fees help providers cover the costs of giving the vaccines, including storing the vaccines and paying staff members to give vaccines to patients. However, VFC vaccines cannot be denied to an eligible child if a family can’t afford the fee. Talk with your child’s health care professional, contact your local or state health department, or call the CDC at 800-CDC-INFO (800-232-4636). CDC works 24/7 saving lives and protecting people from health threats to have a more secure nation. A US federal agency, CDC helps make the healthy choice the easy choice by putting science and prevention into action. CDC works to help people live longer, healthier and more productive lives. You are currently browsing the archives for the Disease category.